Find loyal customers with the help of the most popular social network on earth. Introduce your online store and get your ads in front of eyes that matter on Facebook! you’ll reach both mobile and desktop device users . 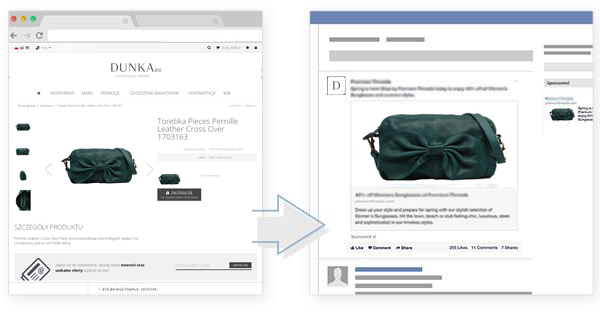 How does Facebook remarketing works? Thanks to remarketing ads on Facebook, you’ll encourage those visitors who have left without buying anything to revisit your store and complete their purchase. Adding only those users who have visited specific pages on your site. It is necessary to install a special code to identify visitors to your site. This special Facebook service code, which is generated by us, must be placed on all sub-pages. To do this, copy and paste it between the header tags < head > and < /head > on all sub-pages of your website. We offer our full technical support! Connect with new people whose profiles are similar to your custom audience profiles! Your audience may be optimized for certain similarities (i.e. they behave in similar ways online), or by comparing them with a larger group of recipients optimized for reach. Call +44 870 820 0058 or fill out the form below!